The Orihuela Town Hall last week approved the plans for the construction of 133 properties in the Orihuela Costa PAU-23 plus six detached houses in another area of Orihuela Costa. In fact, new building licenses are being granted each week, with another 270 new homes approved three weeks ago. 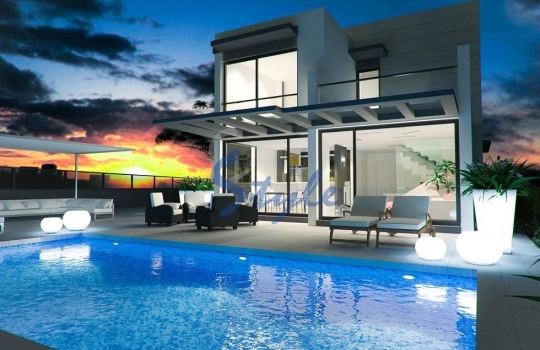 These figures confirm the upturn observed in the real estate sector in the Vega Baja. Not surprisingly, Orihuela and Torrevieja are the municipalities of the Alicante province that have best weathered the crisis in recent years, according to industry sources and the Association of Notaries. The largest project will consist of the construction of 245 homes in the urbanization Las Filipinas, after the change of ownership of the planning permission granted in 2003. In addition, the construction of another 24 houses with private pool in El Barranco was approved. Orihuela Costa is the place to buy property in Spain if you are looking for a quality home in a sought-after beach resort destination.